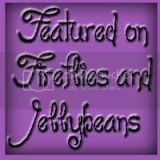 Fireflies and Jellybeans: Sunday Spotlight! SOYS #37 Favorites! Here are some favorite projects from this week's Show Off Your Stuff Party! Click on the picture for the link!! Felt Treasure Map from Sew Can Do! Thanks so much for the feature Fawnda!! Wow, I'm honored as well. Love looking at all the wonderful crafts and tutorials that everyone shares. They have been keeping my kids and me very busy this summer. Thanks for featuring my tea towel purse today! Thanks so much for featuring my zipper bracelet! And kudos to all the other great projects featured as well! Thanks for the feature! This is exciting! Thanks Fawnda for putting the pillow buddy up with so many other great creative ideas! I've been looking for a way to use up my out-of-control felt stash and those two felt ideas a fabulous!